This is a well cared for ready to go Sea Ranger which is similar to a Hatteras. She would make a perfect live aboard with her extended and enlarged expansive master cabin. She would also make a good commercial dinner boat for groups of 12 with it's unencumbered massive open main cabin and large Flybridge. Walk around decks, large bow area and higher then normal railings. A nice large swim platform make boarding from a dingy or snorkeling off the back of the yacht a breeze. 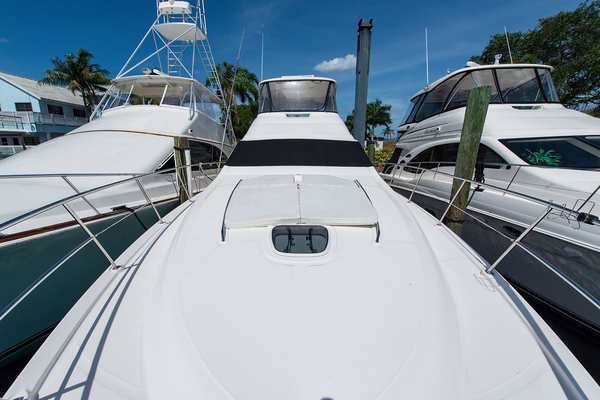 A davit on the upper back deck makes it easy to stow your jet ski or dingy. During Hurricane Matthew the vessel incurred some damages. They include bow railing, swim platform, upper railing and aft corner railing damage. The attached photos show the damages. This vessel also has the district advantage of being Bahamas Duty Paid which means she can stay in the Bahamas without restrictions. This would make a perfect winter home for those 'snowbirds' wanting to escape the cold. This is hull number JFG51012D484 which would indicate that she is actually 51 foot, however the seller calls her a 53' probably as a result of adding 2 feet for the swim platform. Call for details, she is easy to show at her slip in Freeport, Bahamas. United Yacht Sales New Jersey would love to guide you through a personal showing of this 53' Sea Ranger Motor Yacht 1984. 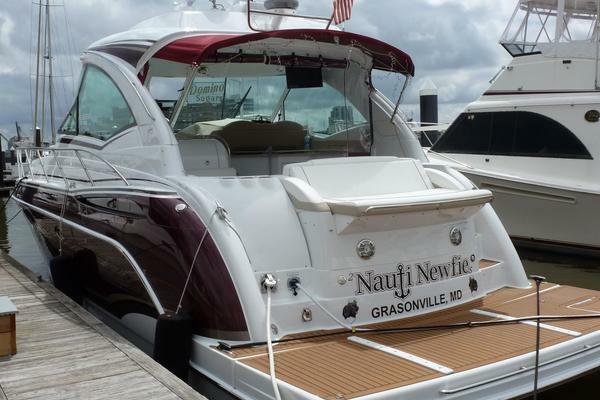 This yacht for sale is located in Freeport Bahamas and priced at $75,000. For a showing please contact us by filling out the form on this page and we will get back to you shortly!